French military optical reconnaisance satellite. The Pleiades constellation consists of two one metric ton satellites offering a spatial resolution at nadir of 0.7 m and a field of view of 20 km. While designed for off-nadir imaging to support rapid retasking of targets, the satellites will also offer stereoscopic capability to meet detailed cartography requirements for urban regions. Earth Observing satellite built by Astrium (prime), Alcatel for CNES, France. Launched 2011 - 2012. Status: Operational 2011. First Launch: 2011-12-17. Last Launch: 2012-12-02. Number: 2 . Gross mass: 1,000 kg (2,200 lb). Pleiades was part of a multinational military reconnaisance program. 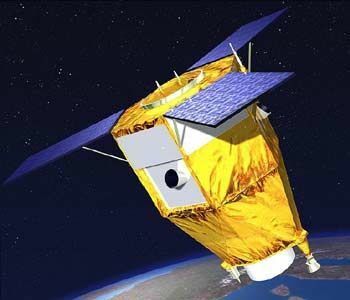 France and Italy jointly developed ORFEO, a dual-mode Earth observation system with metric resolution, in which Pleiades (France) was the optic component and Cosmo-Skymed (Italy) was the radar component. Cooperative agreements for the Pleiades optical component were also agreed with Sweden, Belgium, Spain and Austria. Family: Surveillance. Country: France. Launch Vehicles: R-7, Soyuz-ST-A. Launch Sites: Kourou ELS. Bibliography: 6784, 12963.